Building up a business takes a major commitment of time, energy, and money. When it comes time to sell the business you’ve built up over the years, make sure your hard work is fairly compensated at the closing table. Although your time at the company is coming to an end, there are still some major decisions to be made that deserve your full attention. When selling a business, consulting a professional business broker is the best way to get the value you deserve and ensure that it is passed along to someone who will maintain the business’s good reputation. A business broker, like a member of the team at The Bridlebrook Group, can also help with preparing the business for life after your departure. Whether you’re only thinking about selling or are ready to begin the process, be sure to give us a call. We can provide a free consultation as well as a no obligation value analysis before moving forward. The Bridlebrook Group is headquartered in Broomall, PA and can easily serve as your Montgomery County business brokers. We’ll walk you step-by-step through the sales process and make sure you know what to expect. Marketing your business for sale is a huge undertaking, and even more daunting when you still have to run that business. Our team is ready to step in and handle the sales process so that you’re able to concentrate on your management duties. We want the entire process to be as painless as possible for our sellers, as you already have so much to focus on. The Bridlebrook Group is there to handle every step of sale, including: value assessment, preparation for market, search for buyers, deal negotiations, and transaction closing. Despite taking on a lot of responsibility in the process, every major decision will result from your input. Read more about selling your business. 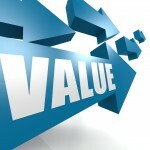 A vital part of the sales process is determining an accurate business value. To arrive at this figure, we offer a free, no-commitment business appraisal before beginning our services. Over more than a decade in the industry, we’ve gained the experience, skills, and time-tested variables necessary to perform a true monetary business value analysis. Learn more about valuing your business. To take the first step and have your business appraised, give us a call at 610-325-7066 or send us an email. You can also reach us by filling out the form at the bottom of this page. We’re happy to answer any questions you might have as well. The Bridlebrook Group values the privacy of all business owners and information disclosed will be kept confidential. In addition to Montgomery County, we serve businesses throughout Delaware County, Chester County, and the entire state of New Jersey. What type of business to you wish to sell? If you choose to share your business name it will be kept strictly confidential.